When your due date is looming near, it gets a little daunting, especially if you're a new mother. The nesting period can be both exciting and stressful at the same time. But don't worry; not everything has to be prepared before your baby arrives. Here are a few tips you might find useful to ease up your nesting anxiety. 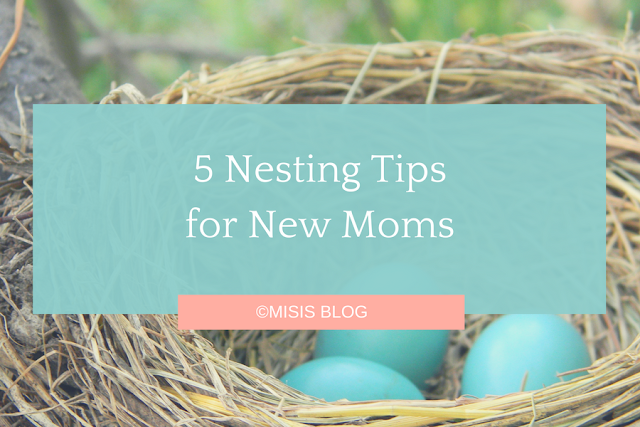 Being a new mother means being bombarded with lots and lots of unsolicited advice. You can listen to what others say, but you can safely ignore what you don't think is applicable to you. When nesting, stick to what the essentials are, such as the following: baby clothing, baby gear for going out, and paraphernalia for sleeping, feeding, bathing, and grooming. While you would want to give the best (and brand-new) to your baby, there's nothing wrong with using pre-loved items, for as long as these are still usable and are in good, working condition. Don't be ashamed to ask help from family and friends, especially those who recently had a baby for the past one to three years. However, stick to clothes and other items that were never or just very slightly used. Make sure to check the safety of baby gears, like strollers and cribs. Most nesting moms tend to get carried away with all the baby shopping, even frugal moms like me. It's both an overwhelming and exhilarating experience to shop in the infant's section of the mall, with you bubbling all over to get everything your baby might need. When going baby shopping, it's a smart idea to make a list of what you need and set a budget. Always, always stick to your budget. And bring your husband, or alternative healthcare giver, with you; other people can help you keep things in perspective. Before your little one arrives, you'd want your house to be squeaky clean, and doing a general house cleaning is a tough job. Don't do this on your own; even sweeping the floor becomes difficult when you're only a few weeks shy of giving birth. Ask help from your husband or other family members to clean the house. Don't carry heavy stuff, bend over, or climb ladders. Heaven knows what harm this will do to you and your unborn child. Your safety is more paramount than the neatness of your house. Remember, harm yourself and you'll harm your baby. The anxiety of becoming a mother can be very overwhelming (and crippling). Please know that you are enough. What others may say about you doesn't affect your worth as a mother. Don't be too hard on yourself. Again, not everything has to be super prepared before your baby is born.